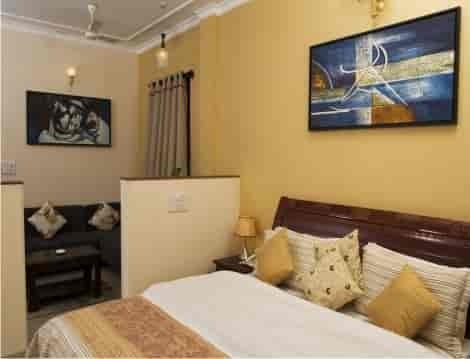 Our serviced apartments in Gurgaon offer you comfortable and homely stay while taking care of your budget. We have different categories of apartments to cater to the needs of preferences and needs of our clients. From very affordable Studio Apartments to spacious twin bedded apartments, there is everything for everyone. Based on your requirements, you can book any of the service apartments to enjoy your holidays without worrying about the facilities. We primarily have three different offers to cater to our clients viz. weekly, monthly and summer. If you are planning to stay for an entire week in our service apartments, we welcome you by offering 15% off on the stay. It may appear to be a small saving; nonetheless, it’s saving worth taking advantage of. In terms of money, you save 15 bucks on every 100 rupees you spend. Hence, it helps you in managing your budget efficiently and puts more cash into your pocket. Instead of spending more on your stay, you can spend the amount on excursions, movies, etc. We are completely transparent in our pricing, and therefore, we don’t just increase the price of the stay and then provide you a discount. It’s simple. The longer you stay, the better it is for us to manage our resources and allocate them and hence offer you attractive discounts. Check out our Service Apartments Gallery to choose better. We have an amazing plan which offers you whopping 25% off on your stay if you are planning to stay for a month. As we told you, the longer you stay, the more you save as discounts. Your stay could be for any reason from holidaying to medical assistance. If you are planning to stay for medical reasons near medanta hospital or Fortis Hospital, Max Hospital,Paras Hospital in Gurgaon location, you’ll certainly benefit from this attractive discount. It will help you avoid paying a huge sum on your stay. Probably, you won’t get such a huge discount on your monthly stay at a hotel. For every 100 rupees, you get 25 rupees back i.e. one fourth of the total expenditure on your stay. The less money you pay towards your accommodation, the more money you have to spend on your necessities. Therefore, we have come up with such a plan that can benefit our clients and gives them a peace of mind. They should focus on their objective of staying and not on the money. In line with our weekly stay, you get 15% off in summer season, too. Summer is the season to relax and get away from the scorching heat and humidity. 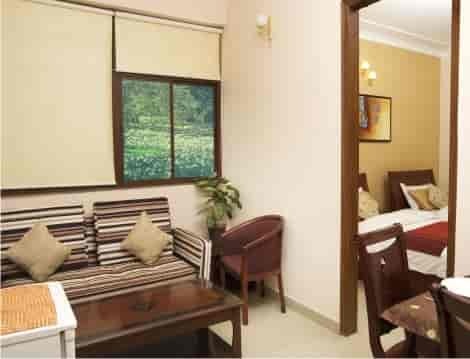 What better place to stay then our service apartments in Gurgaon. Come and spend some time in the peaceful locality at affordable prices. Since in summer the demand for accommodation rises, we would suggest you book your apartment well in advance to avoid last time rush. Also, you get the opportunity to save money on your stay with us! Get some respite from your regular work and stay in our service apartments to enjoy your life. It will help you refresh and reenergize. Summer is also the season for summer vacation for children. Hence, it offers you a valid reason to spend some quality time with your family by staying at our apartments. It will make you come back for more every time you leave. Our Serviced apartments has a soothing feel to it, which is enhanced by our interiors making sure that you achieve your motive of RELAXATION while you are with us. We hope that you’d provide us the honor and opportunity to serve you ! A budget service apartments in Gurgaon at affordabale price. Take advantage of discounts for your stay in Gurgaon. 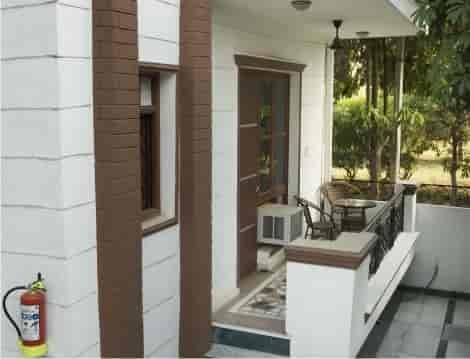 Service apartmets in gurgaon with Bed & Breakfast. Dont miss our weekly or monthly stay package. Our latest offers that will help you choose and book room with us and avail great offer. We hope that you’d provide us the honor and opportunity to serve you and your loved ones. Let us make your stay healthy, lovely and truly enjoyable. Our offers offer you the freedom to spend time without worrying about the money you have to shell out for your long or short stays. We ensure that your stay is memorable and you visit us again and again and help us be part of your happiness.